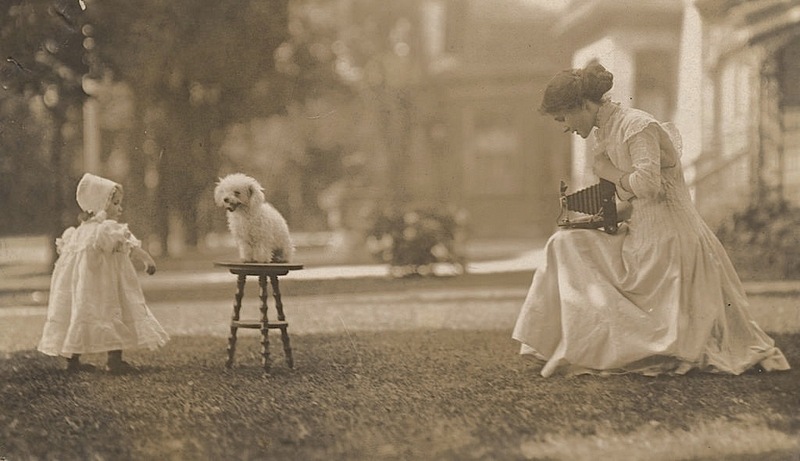 The photographer’s daughter, Florence Sallows, photographing her little sister, Verna, and a small dog, date unknown, by Reuben R. Sallows, via Huron County (Ontario) Museum and Historic Gaol Commons on flickr. The clothes and hair of that era look so romantic to me. A dream image. It really is. I like the apron or coverall that she’s wearing, with all the pleats around the waist.